Join us as we explore the roles young professionals are taking in Milwaukee’s growing tech and startup ecosystem with some of the region’s top young professional innovators and entrepreneurs. 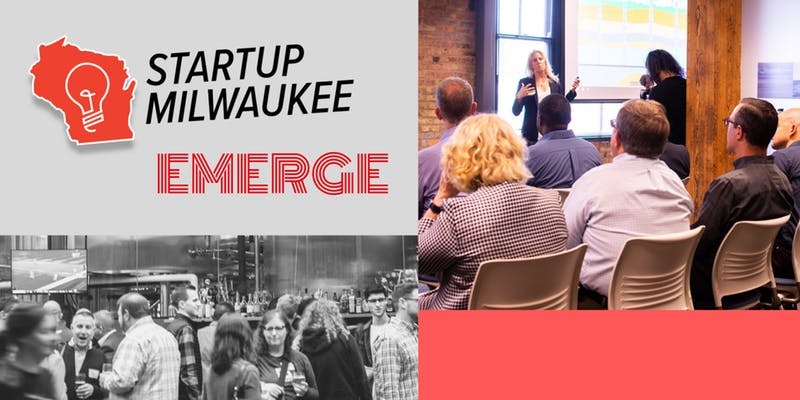 Startup Milwaukee EMERGE is the leading forum for leaders in tech, startups and innovation to track the progress of our region’s tech and startup ecosystem. Each event focuses on a unique sector of Southeast Wisconsin’s innovation economy and highlights key companies, entrepreneurs, technologists and innovators who are driving change in the region. Live Startup Milwaukee podcast recording with Coby Skonord, Founder & CEO of IdeaWake.